Bill Lindberg graduated from Grand Valley State University with a B.S. in Biology and from Michigan State University with a M.S. in Horticulture. 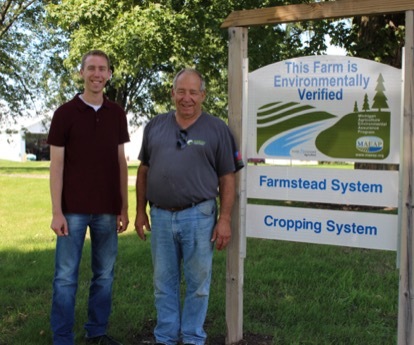 For the past five years, Bill had been working at Green Valley Agricultural (Nutrien Ag Solutions) as a retail sales associate assisting fruit growers along the lakeshore counties. Growing up, Bill enjoyed participating in 4H and helping on his family’s farm. Bill is a Detroit Tigers fan and enjoys spending time outdoors with family and friends. Bill looks forward to assisting Kent County producers with MAEAP and their ability to enhance their business while protecting the environment for future generations.